Vinod Mehta, distinguished editor and commentator who successfully launched a number of newspapers and magazines, passed away in New Delhi on Sunday after prolonged illness. He was 73. Mehta, who was the editorial chairman of Outlook magazine which he had founded, had been ailing for several months and was hospitalised at AIIMS. He was suffering from severe lung infection and was on life support. He died of multiple organ failure, AIIMS spokesperson Amit Gupta said. Mehta, who wrote the best selling autobiography Lucknow Boy in 2011, was a popular face in TV debates. He recently published another book Editor Unplugged but could not attend its launch in December last because of his illness. He was a dog lover and had adopted a street dog whom he had named Editor. The dog often figured in his columns in Outlook magazine. Born in Rawalpindi (now in Pakistan) in 1942, Mehta was known for his bold journalism. Prime Minister Narendra Modi condoled his death. 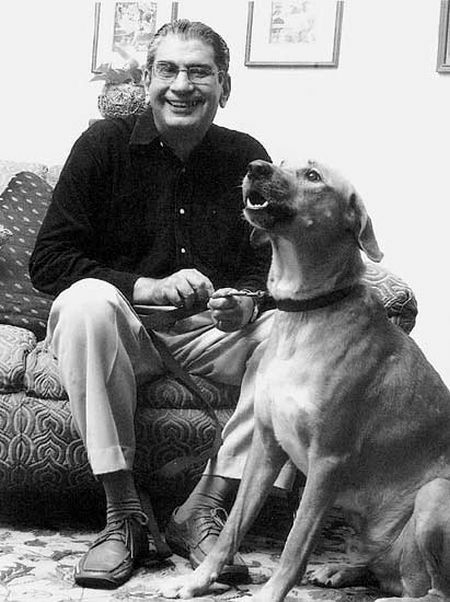 "Frank & direct in his opinions, Vinod Mehta will be remembered as a fine journalist & writer. Condolences to his family on his demise," Modi tweeted. Mehta was a distinguished editor who successfully launched a number of publications such as the Sunday Observer, Indian Post, The Independent, The Pioneer (Delhi edition) and, finally, Outlook. Mehta was three years old when he migrated to India along with his family after partition. The family settled down in Lucknow where he did his schooling and got BA degree. Leaving home with a BA third class degree, he experimented with a string of jobs, including that of a factory hand in suburban Britain, before accepting an offer to edit Debonair in 1974, a men's magazine. Years later, he shifted to Delhi where he launched the Delhi-edition of The Pioneer newspaper. He was married to Sumita Paul, a journalist who worked for The Pioneer and The Sunday Times of India. The couple do not have any children. According to his own account in his book Lucknow Boy, Mehta has a daughter from an old affair from this younger days. He said nobody, other than his wife, knew about his daughter until he wrote about it in his memoir. He said he spoke to his wife and she encouraged him to write about it. Mehta has also authored biography of Meena Kumari and Sanjay Gandhi and published in 2001 a collection of his articles under the title 'Mr Editor, How Close Are You to the PM?'. Outlook magazine, with which he spent 17 years, issued a statement announcing with deep regret the passing of its editorial chairman who has left behind legions of orphaned colleagues, compatriots and competitors. "All through his long innings as editor, writer and a television talking head, Mehta brought trademark wit, candour, and non-partisanship to the table, endearing him to readers and viewers, and to friends and foes, across the country and across the globe. Rare is the rival who can’t find a good word," the statement said. "An undisguised cricket fanatic and foodie, Mehta was a magnet of tasteful gossip which he deftly let loose into the system through his widely read diaries on the last page of ‘Outlook’," the statement added. "Mehta, who disliked hyperbole and big words, always followed his motto in journalism that was to make the important interesting, "but Indian journalism is decidedly poorer today with the disappearance of a lodestar of professional integrity, on whom could easily be placed the sobriquet The Last Great Editor," the statement said. Home Minister Rajnath Singh condoled the death of Mehta, saying his demise has left a big void in the field of journalism. "I express my heartfelt condolence to Mehta's bereaved family. His demise has left a big void in the field of journalism," he said. The home minister said he was saddened to know Mehta's passing away as he was a "sensible journalistic voice well known for his candid comments".